Accommodation options, choosing best place during your travel to another country may become an important issue but if you follow your Barcelona city travel guide you will easily find the best place to stay during your trip in Barcelona city. When you check on internet before your travel, you will see lots of advertisements including apartments in Barcelona for your temporary stay in Barcelona city. In this article we will give information about the apartments located in different places but near the city centre. As you can access the city centre by walking farthest in 20 minutes actually it's not so big deal to rent an apartment in Barcelona city even if it's not located in the center. So you can check the options below and can decide what kind of apartment you should rent before your Barcelona city travel. I hope we are on the right way on being your Barcelona city travel guide. For Barcelona vacation rental houses here is the right address to see the options. Accommodation in Barcelona city hasn't been so easy! 1) The Gallo V Apartment ( 5 single beds, 1 double bed, 4 bedrooms and untill 7 persons, 2 bathrooms. It's fully equipped. Please note that parties and pets are not allowed. You can checkin after 3pm and checkout before 11pm. It has got a balcony. The building has no private parking lot but around 200 mt you can find a parking lot. We should warn you about that parking is a little problem and you may pay much more for parking than renting a car. Apart from this free wi-fi is also available. The price is 128€ per night. It may sound a little pricey but if you plan your trip to Barcelona city with a group or a family). 2)The Music VII Apartment ( 2 bedrooms and bathrooms for maximum 6 people. There are two single beds, one double bed and one double sofa bed. It has got balcony. You can checkin after 3pm and checkout before 11pm. Please note that parties and pets are not allowed. Apartment features are really good. You can find many good furniture at the apartment do your stay will be really comfortable. Beside all positive sides, unfortunately young groups are not allowed to apartment. Free wi-fi is also available. The price is 96€ per night. For a comfortable and relaxing stay in Barcelona city, it's a good idea to check these options. Please note that there is no parking area). 3) The PTF Casa Batllo Apartment ( This studio apartment is 40m2 and available for maximum 3 people. It has got one double and 1 single sofa bed. Like above apartments no parties and pets. Checkin and checkout times are the same as above. It has got a balcony and bathroom. 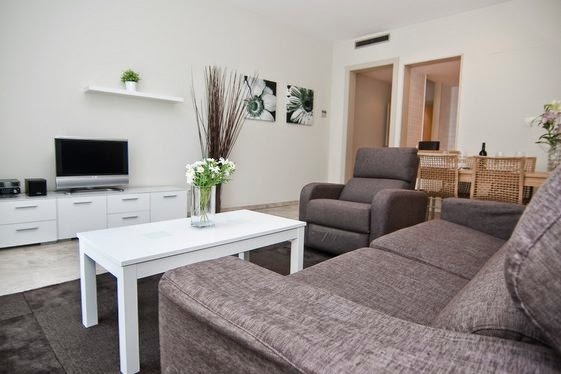 The most important thing you look for during a holiday may be free wi-fi as it connects you easier when you are abroad so you can find free wi-fi at this pretty studio apartment. As we mentioned before, apartments generally don't include parking area. So if you have a car and you want to rent a car you should be prepared to park your cars at special parking lots near your apartments. The price is 80€ per night. 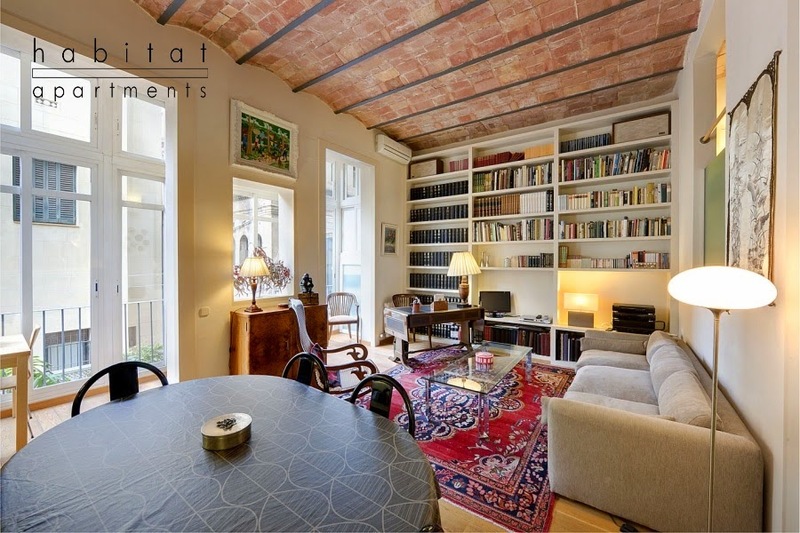 4) The Rousseau IV Apartment ( This Barcelona vacation apartment is located in Barrio Gotico district but it is on the edge so this apartment is really close to Las Ramblas street and Port Vell. It has got 2 single beds and one double bed with 2 bedrooms for 4 people maximum. The checkin and checkout times are the same. The rental apartment in Barcelona city is fully equipped for your needs. When you want to stroll around the city, Barrio Gotico is a good start to discover the city especially the old town of Barcelona city. There is no balcony. The price is 92€ per night. 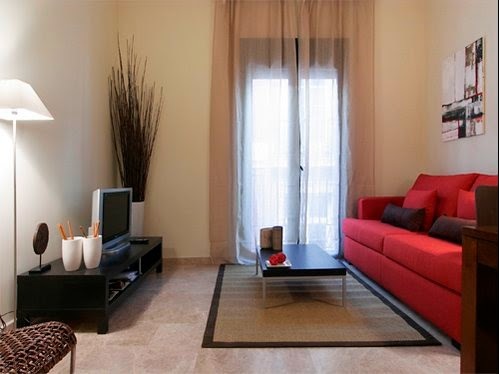 As you see the vacation rental apartments in Barcelona city are not so expensive. 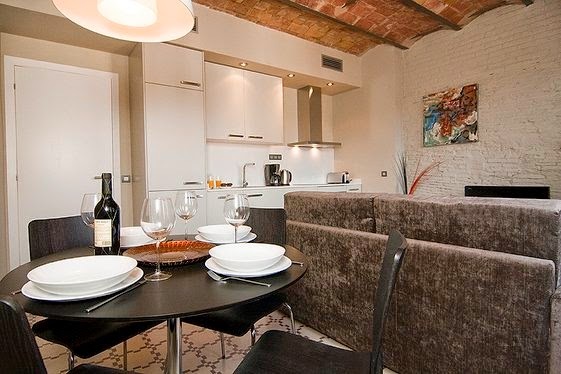 It's easy to find cheap rental apartments in Barcelona city. There are many options with similar features but in lower prices. So you can decide on best apartment according to person number in your holiday. Rental apartments for your holiday in Barcelona city provide many good facilities so why not be a good option to think when you plan your Barcelona city travel. 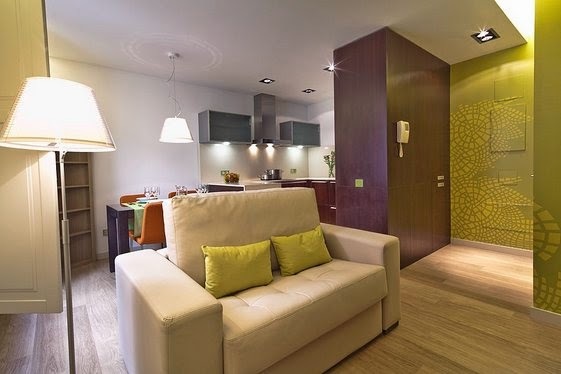 In our future posts we will give example of apartments for your stay in Barcelona city located in different districts. I hope these options can be helpful on your Barcelona city travel guide. Rental facility make fresh to mind when at on journey time. It make safe and the best to holiday trip. Vacation pass with best entertainment which the dream of people's life. Apart from the absolute acreage spaces appropriate for the abounding educational institutions gluttonous to accomplish an admission or to aggrandize in Pune, this actuality has as well served to drive appeal for the residential absolute acreage market. Thanks for your blog i read many thing from here .